Hemlock Bluffs Animal Hospital of Holly Springs is committed to the health, well-being and safety of your pet. 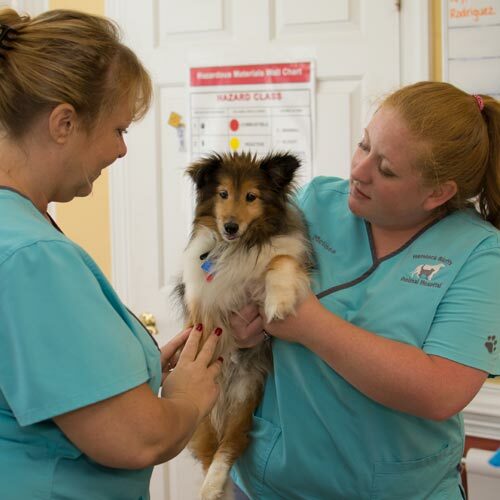 We maintain extensive and convenient practice hours, fully staffed with a team of three veterinarians and qualified aides. Our practioners are trained in a wide range of services to provide optimal care of your dog, cat, bird, reptile or exotic pet. If your pet is in significant discomfort or requires immediate care during business hours, please call us immediately at 919-362-1223. We will do everything in our power to see your pet as quickly as possible. However, we know that sometimes pet care emergencies happen on evenings and weekends. In these circumstances, here are four full time pet care providers who will take great care of your pet.